This is a rare opportunity to take this training in Saskatchewan! 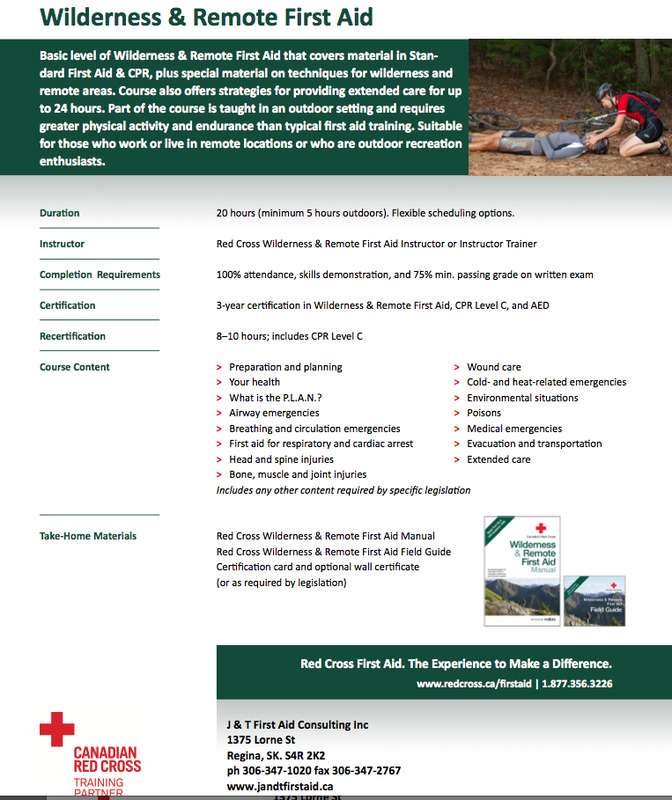 This course covers material in Standard First Aid & CPR, plus special material on techniques for wilderness and remote areas. Part of the course is taught in an outdoor setting and requires greater physical activity and endurance than typical first aid training. We offer Standard (20 hours) and Advanced (additional 20 hours, for a total of 40 hours) course options. 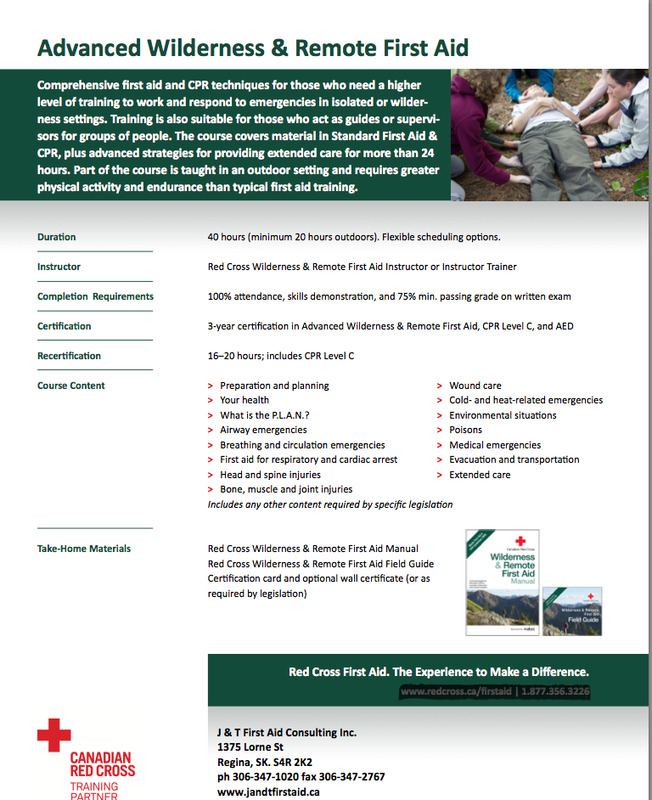 There is a significant outside component to Wilderness First Aid so expect to spend time outdoors during the course. The minimum age is 16 years. No previous first aid certification is required.